In late May, LMC's Operations Manager Julie Alibrandi, Executive Director Merv McCormack, and LMC Board Chair and Auxiliary Visitor Br Chris Gorringe attended the second PNGMAC meeting of 2017.Br Visitor, David Hawke, also attended Lasallian meetings in Port Moresby at the same time. 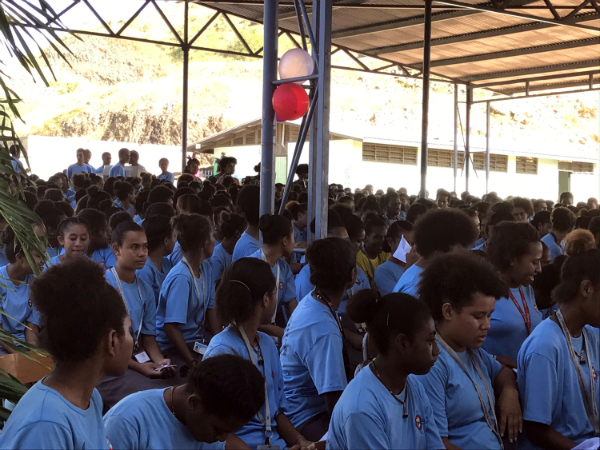 PNGMAC was chaired by Grace Wrakia, currently President of the PNG Lasallian Family, who will assume the newly created full-time position of Lasallian Family Coordinator from January 2018. It promises to be an exciting way to liaise between the many PNG Lasallians concerning the provision of formation and professional development opportunities. 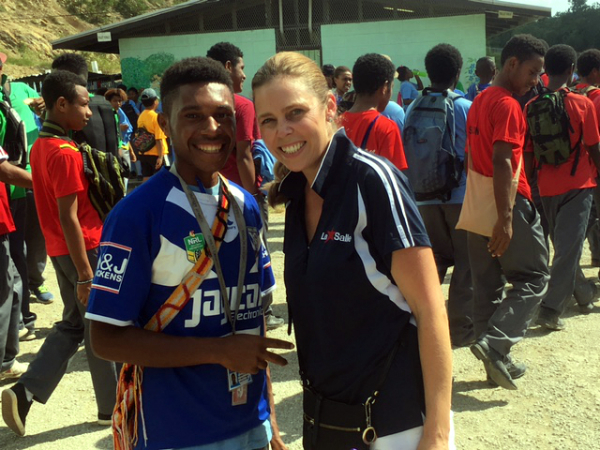 Lasallian Mission Services has again indicated its keenness to work with PNG colleagues on such courses, ranging from school leaders to experienced teachers, and from young teachers to students. 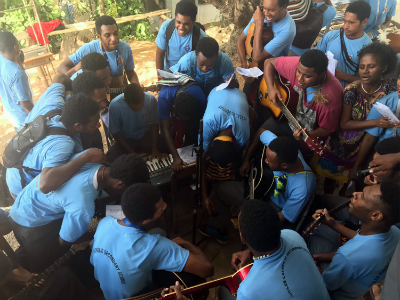 Among the numerous challenges tabled at PNGMAC, there was much to celebrate. PNG colleagues expressed their appreciation for the continued financial and material support received from Australia, as well as for the anticipated professional development opportunities which will be provided by ANZ teachers in coming months. Julie and Merv also attended Jubilee College's Founder's Day Mass at Bomana. It was a wonderful celebration replete with joyful singing, a colourful offertory procession, and reverent participation from the school community. The Lasallian spirit was certainly alive and well at Jubilee! Following the mass, staff and students engaged in a range of fun activities. Julie even managed to find a fellow Canterbury Bulldogs' supporter in the shape of one of the Jubilee students. Julie and Merv also met with our four Share The Mission (STM) volunteers on the Saturday evening at Hohola to discuss the program. 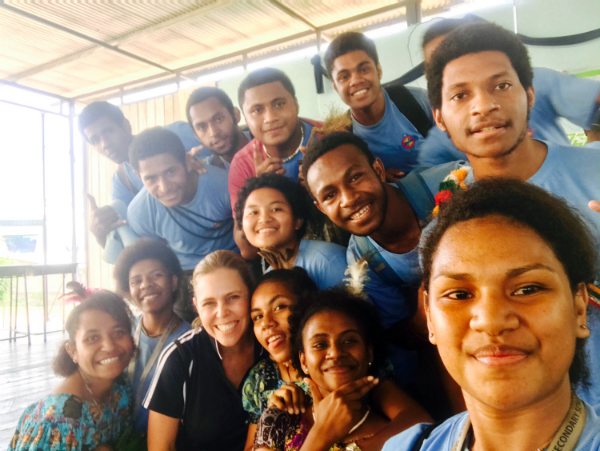 Matt & Scott (Hohola), and Sid & Aleks (Bomana) spoke very enthusiastically about their experiences, all agreeing that PNG has provided amazingly rich experiences well beyond what they had anticipated. Any Australian teachers interested in attending PNG to provide in-services will be warmly welcomed. Please contact either Julie at juliealibrandi@delasalle.org.au or Merv at mervmccormack@delasalle.org.au to discuss. All travel and accommodation expenses will be covered.